In the game of frequent flyer programs, elite status is the ultimate prize. At Hawaiian, we love treating our elites to perks almost as much as they enjoy receiving them. 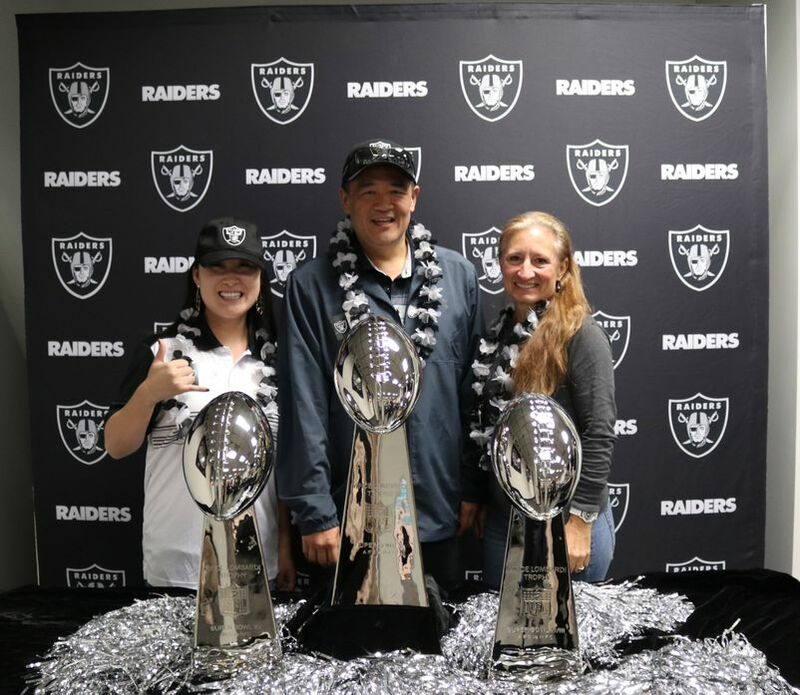 Last November, we rewarded our most loyal HawaiianMiles members with exclusive, behind-the-scenes access to the Oakland Raiders organization. 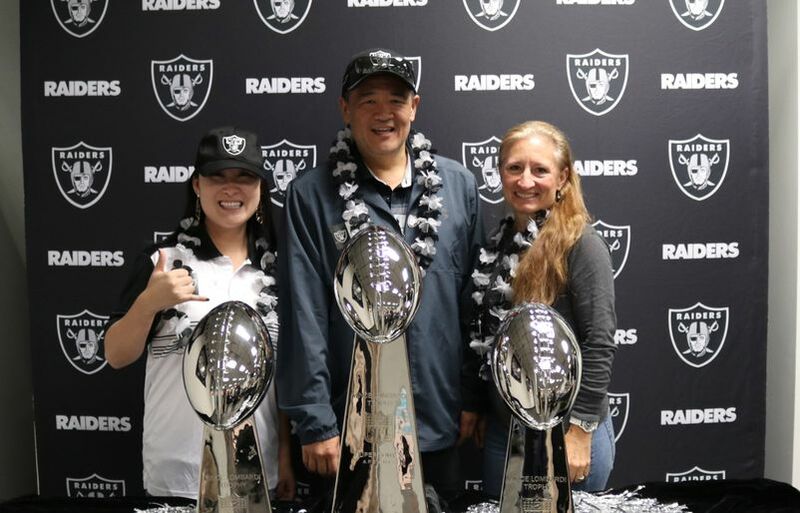 Hawaiian Airlines has served as the Official Airline of the Oakland Raiders for the past 19 years, so the choice to share a bit about our partnership and host our top HawaiianMiles members and travel partners to a VIP day with the football organization was a natural fit. For Raiders fans, it was a once-in-a-lifetime experience. For those whose loyalties lie elsewhere (let's be honest, Hawai‘i is a mixed bag when it comes to adopting a professional football team), it was a perk too good to pass up as elite members of Hawaiian's frequent flyer program. Mark Sakurai of Honolulu has regularly flown on our inter-island service three times per week for business travel since 1994. And while he travels often for work, he loves visiting Japan thanks to Hawaiian's upgrade options. "I would say my favorite perk is the free upgrades on international flights," says Sakurai. "My next dream destination is Seoul!" 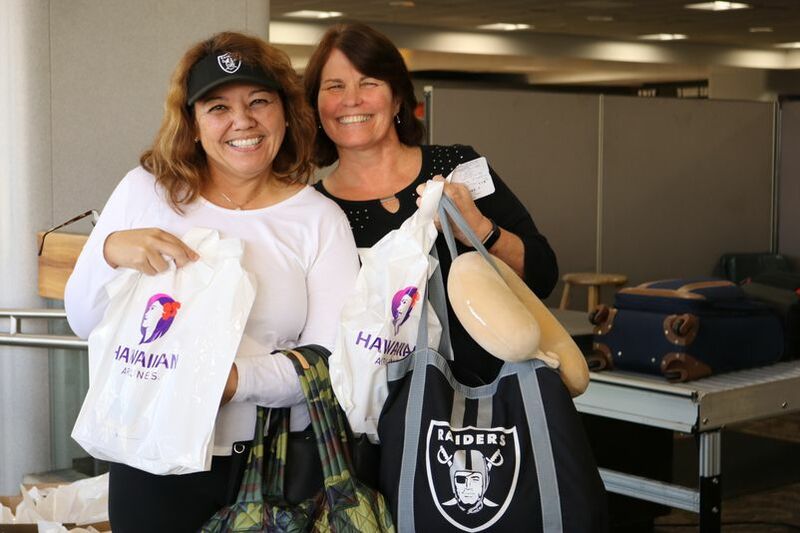 This past winter, Sakurai joined some 20 other elites on flight HA48 from Honolulu to Oakland, Calif. To kick off the celebration, all guests boarding the flight received gift bags packed with game-day essentials, including a co-branded Raiders hand fan, travel snacks and 250 HawaiianMiles. 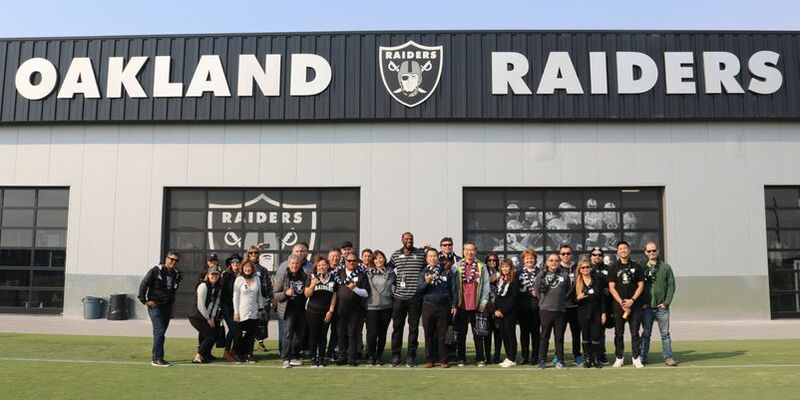 The group started their VIP trip with an exclusive tour of the Raiders facility led by former Raiders linebacker Sam Williams, who shared stories of his days with the league. 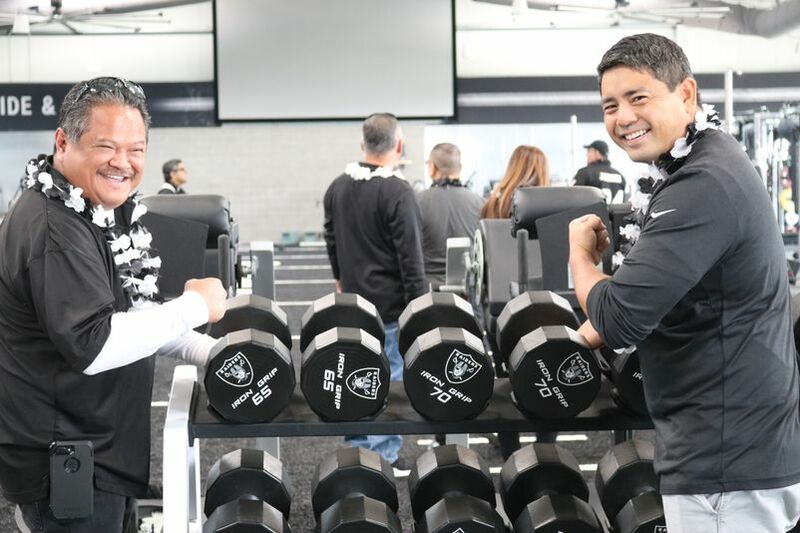 They were guided through the weight and locker rooms, practice field, medical center and even got up close and personal with the team’s three Lombardi trophies for winning three Super Bowls. Brent Overbeek, Hawaiian’s senior vice president of revenue management and network planning, welcomed guests and gave a special shout-out to six of our top HawaiianMiles members. It was time to go see the Raiders take on the Los Angeles Chargers… only with a little help from Oakland’s finest. 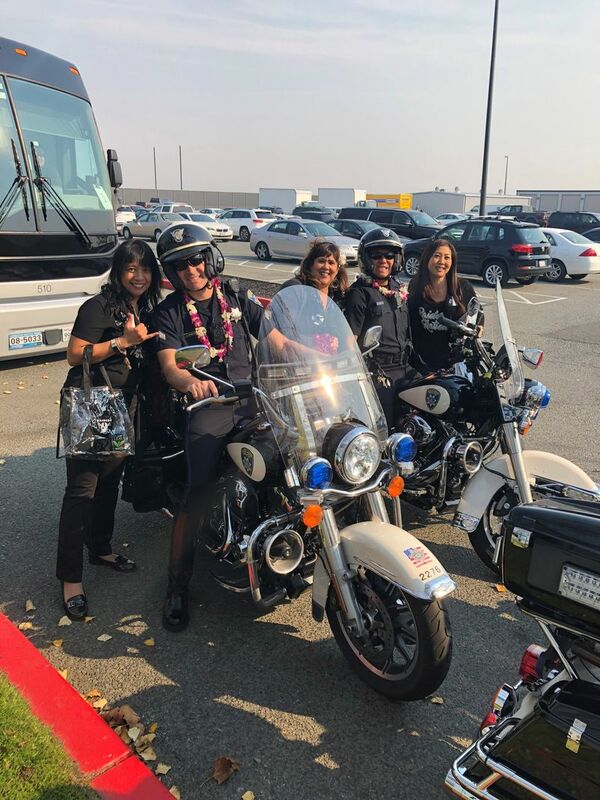 Police officers hoped on their bikes and escorted our group from the Raider’s facility to the Oakland-Alameda County Coliseum in true VIP fashion. Before kick-off, a few members were granted access to watch the National Anthem performance from the field. It was the perfect opportunity to catch that game-winning selfie. 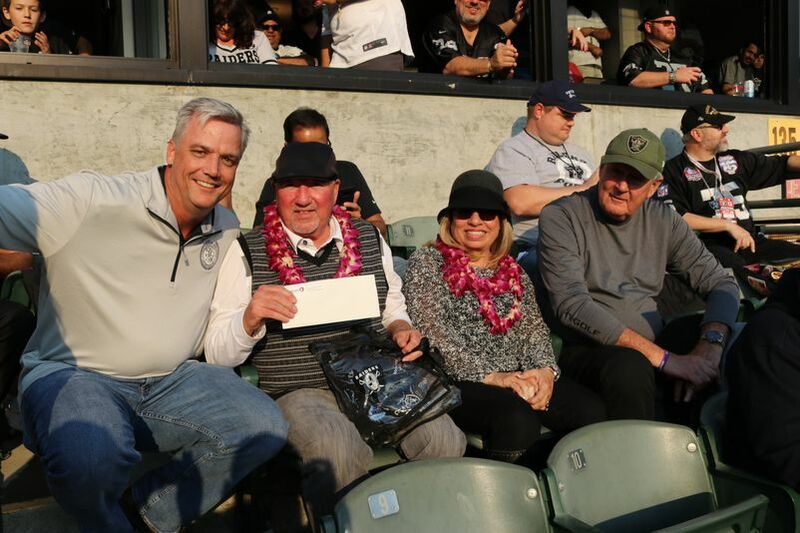 Raiders President Marc Badain stopped by to welcome the guests and thank Hawaiian for its long-standing partnership. 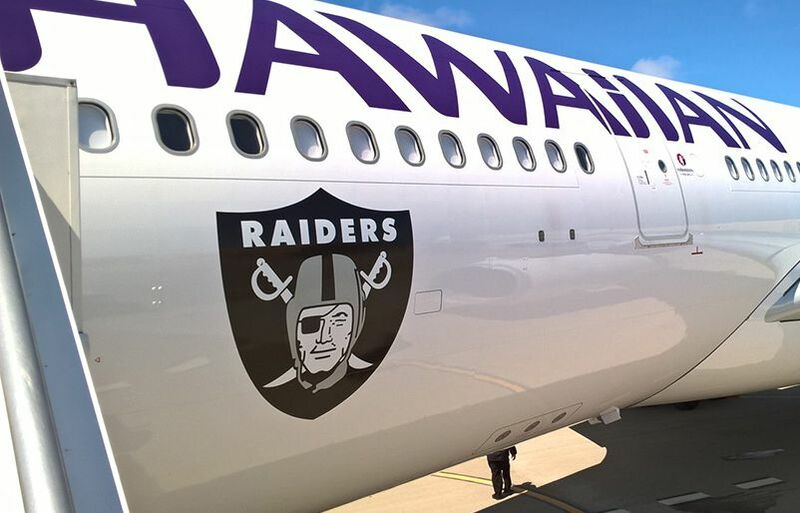 “The Raiders pride themselves on loyalty, and there’s been no more loyal partner than Hawaiian Airlines for the past two decades,” remarked Badain. The ultimate kickoff: Game day coincided with our 89th anniversary and Hawaiian Airlines Day – an annual pa‘īna (party) held at the stadium where attendees are given Hawaiian Airlines swag. 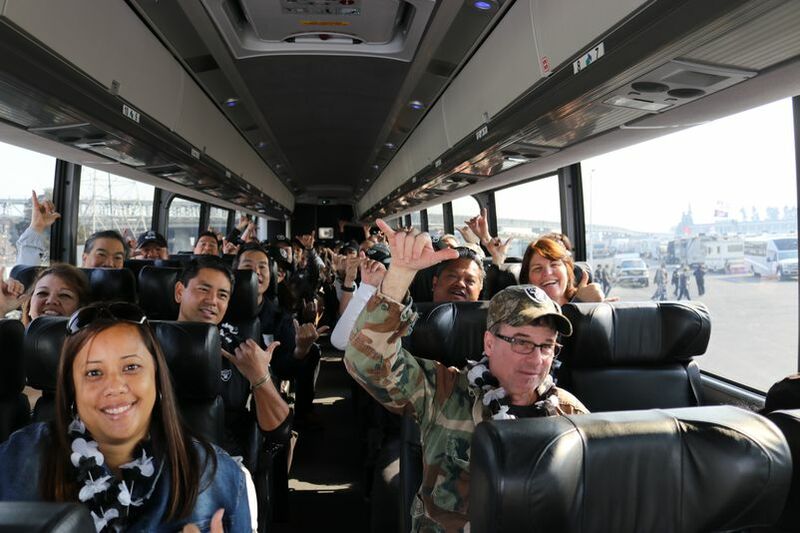 Hawaiian was honored to also participate in the NFL’s month-long Salute to Service campaign by surprising two veterans with roundtrip flights to Hawai‘i. Veteran Lenny Kurtz and his family were in attendance when Overbeek delivered their Hawaiian Airlines tickets. As we commemorate our 90th year of service as Hawai‘i’s airline, we look forward to continue rewarding our guests as a mahalo for their support, so members like Alan S. can keep adding to their passport of global experiences. “We appreciate the hospitality and aloha that makes Hawaiian Airlines my first choice whenever I make travel plans,” he said. As the game was coming to an end, Raiders fans continued to cheer on their team until the last seconds. 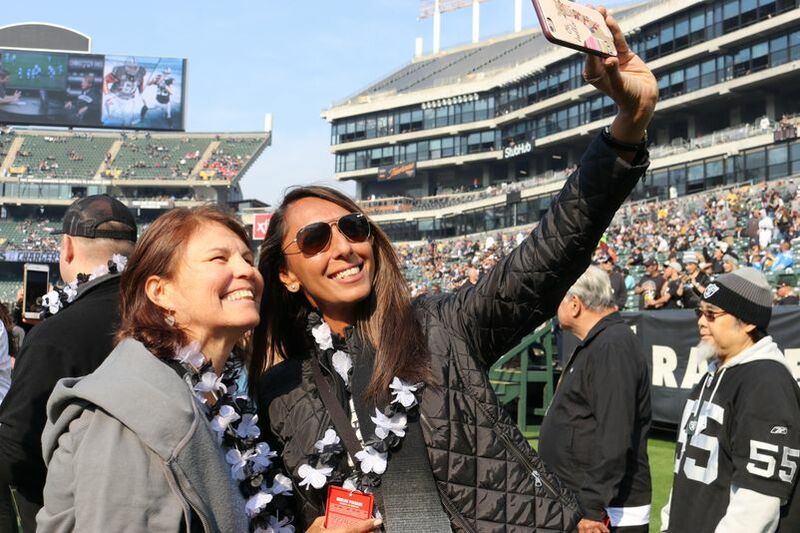 One thing was abundantly clear that day - Oakland fans are incredibly loyal… almost as loyal as our amazing HawaiianMiles members.